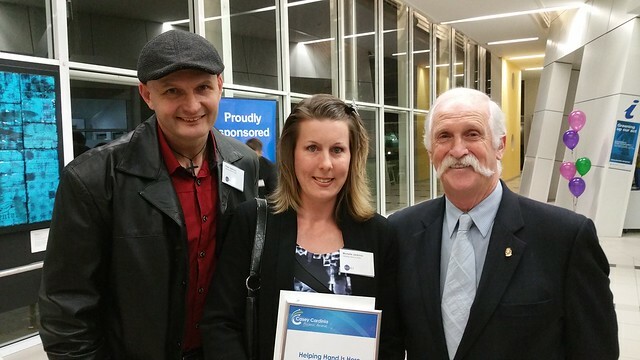 Local healthcare business Helping Hand Is Here was announced as a finalist in the Home Based Business category at Monday’s Casey Cardinia Business Awards 2015 finalist function. 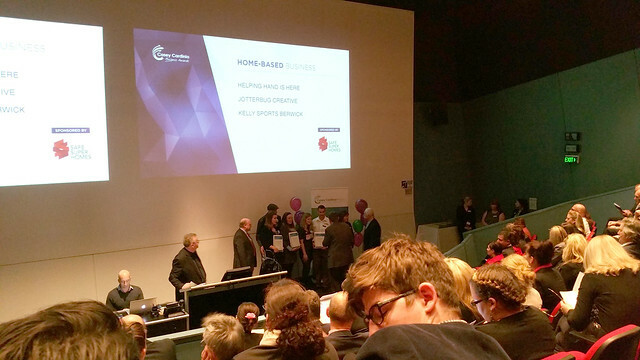 Recognised for their contribution to supporting individuals with complex care needs, disability or medical conditions, carers and families, and the ageing, competition judges agreed that Helping Hand Is Here deserved celebration. Founder Michelle Jankovic sees her work as pure joy. Well-known for her development of MyCare Information System, Michelle is passionate about providing tools to organise and plan individual’s healthcare requirements. Especially those who have complex care needs and being assessed by the National Disability Insurance Scheme. Michelle Jankovic: “From personal experience dealing with the healthcare system after having two children eight weeks premature, I developed MyCare Information System. MyCare is a portable storage tool that organises healthcare paperwork, as well as recording all your healthcare needs, using user friendly medical forms and templates.” Learn more. 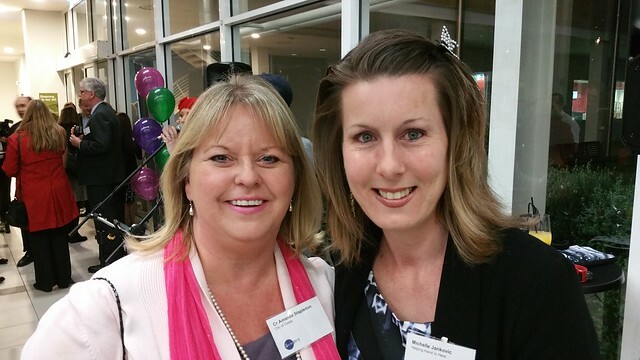 City of Casey Councillor Amanda Stapledon: I am thrilled that Michelle has been chosen as a finalist for the Casey Cardinia Business Awards. Helping Hand is Here is a resource and an answer to so many individual’s dilemma where they can now organise and plan their healthcare treatment, at the most critical time in their life which will give every opportunity to set them up for success. Michelle Jankovic: “Thank you Casey Cardinia Region and proud sponsor Safe Super Homes for recognising Helping Hand Is Here contribution to our local community. 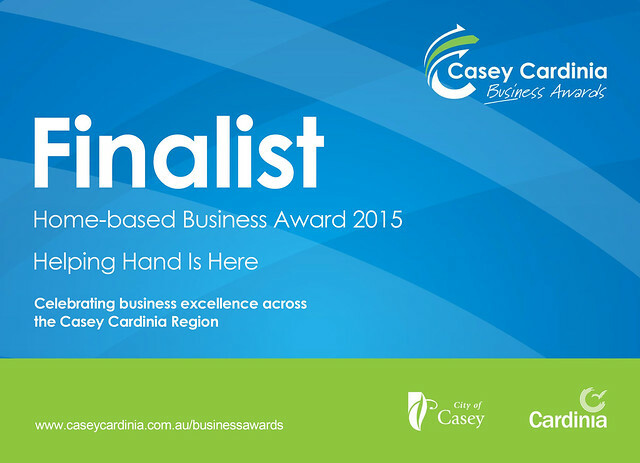 Also celebrating the hard work undertaken by our local business across the Casey Cardinia Region and beyond. 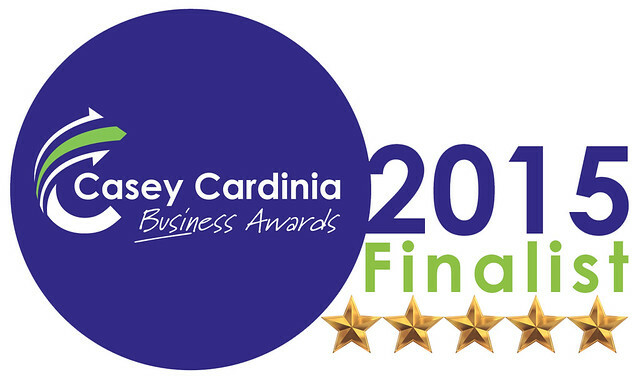 The Winners of the Casey Cardinia Business Awards 2015 will be announced at a Gala dinner on Thursday 22nd October 2014.